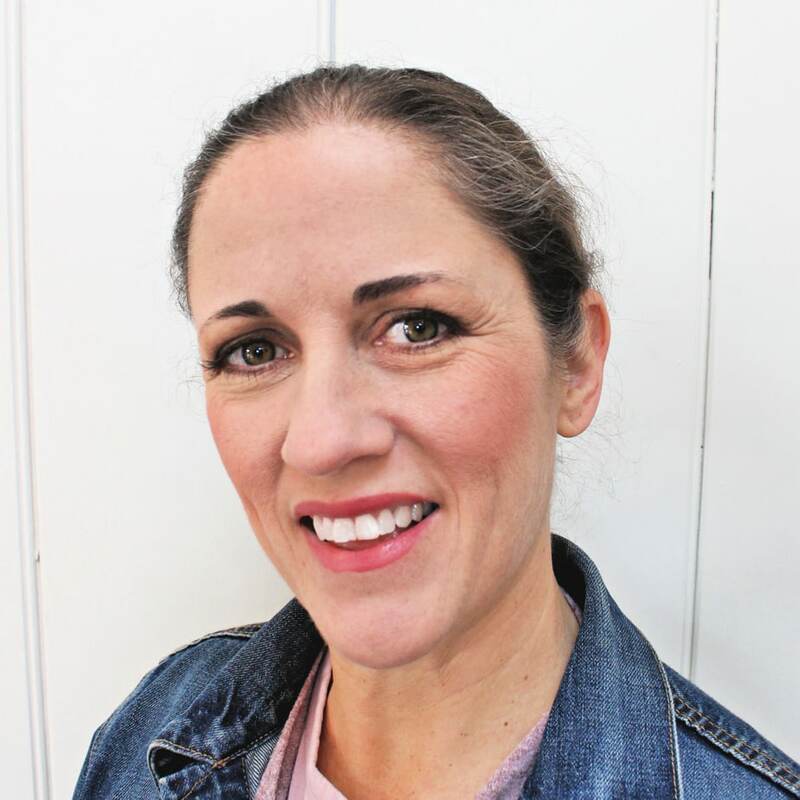 DIY fanatics like myself come to rely on amazing tools that make projects so much easier. 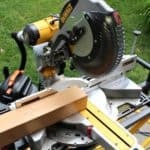 Today I’m talking about the Dewalt oscillating tool and why you should consider adding it to your tool collection. 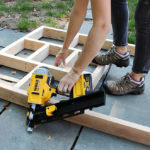 Using the Dewalt cordless oscillating multi tool for various home improvement projects. 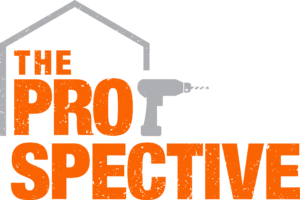 A must have tool for anyone tackling DIY projects. 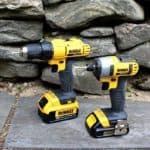 The multi-tool has long been a staple in my arsenal but this brushless Dewalt model takes it up a notch. 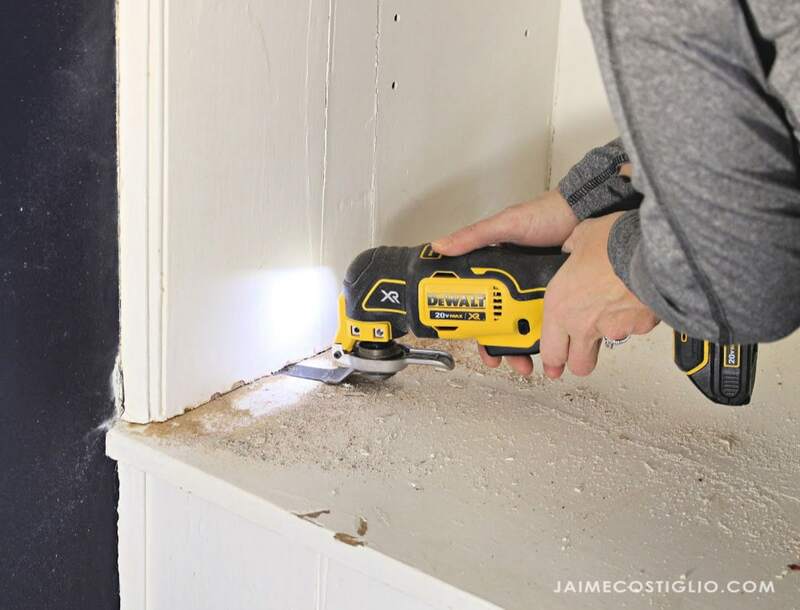 The 20V oscillating multi-tool has a powerful brushless motor providing up to 57% more run time over a similar brushed tool. I’m loving the new quick change accessory system. Simply squeeze the spring loaded lever to open the blade socket. It’s a tight lever that ensures your blade won’t go anywhere once nestled into the notches. This kit includes 2 flush cut blades used for a variety of projects. The quick change accessory system allows you to change blades quickly and easily and with the universal accessory adaptor. 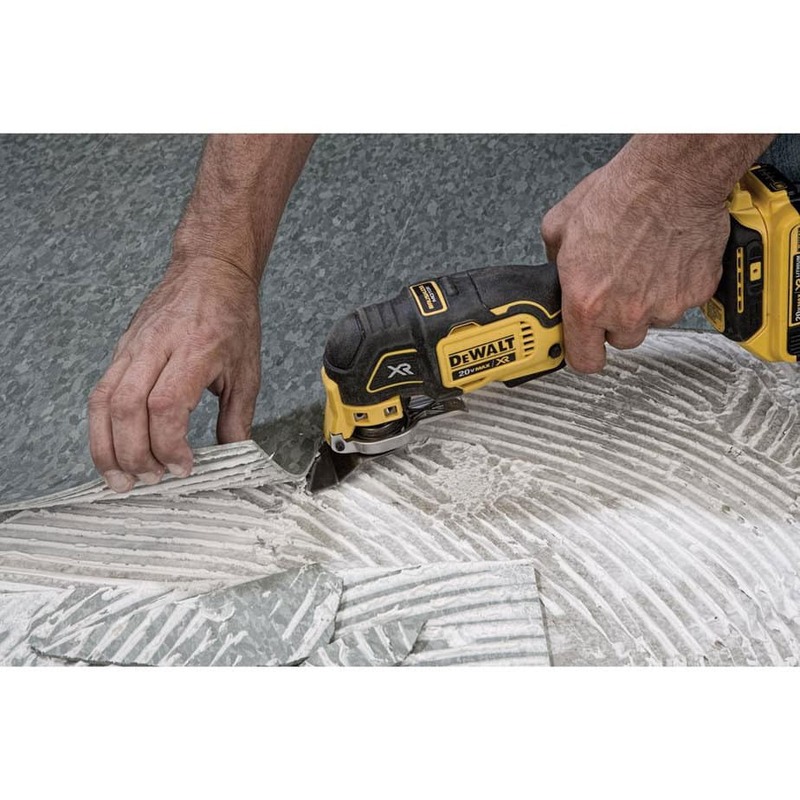 This tool is compatible with most oscillating tool accessories. 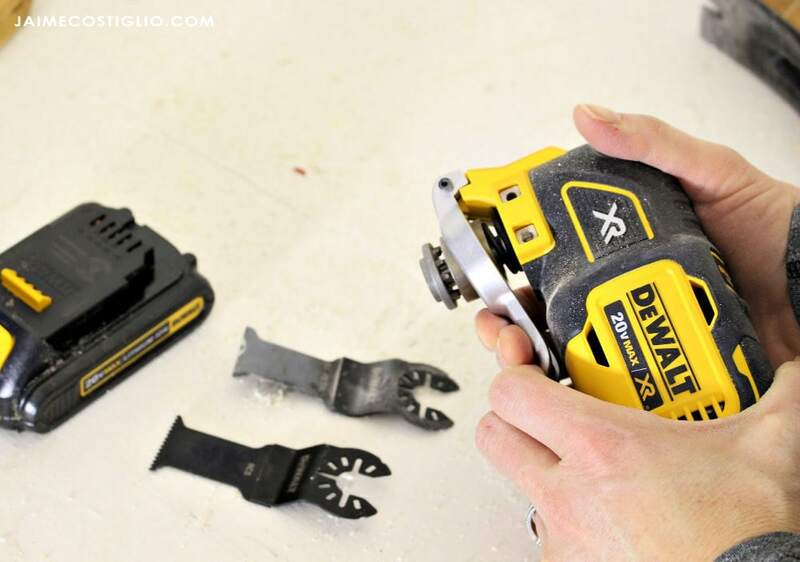 You can easily swap out for a sanding head (not included) and tackle those tough to reach areas. 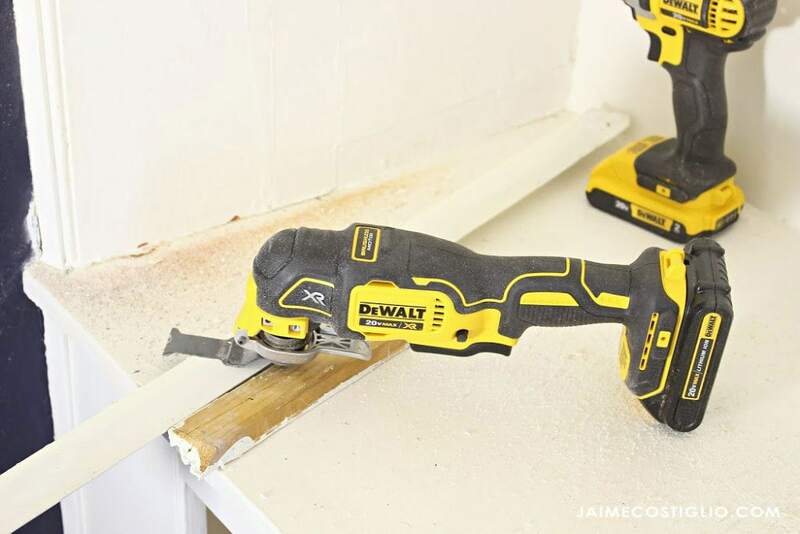 I recently used this Dewalt oscillating tool for demolition on some built-ins in my son’s bedroom. 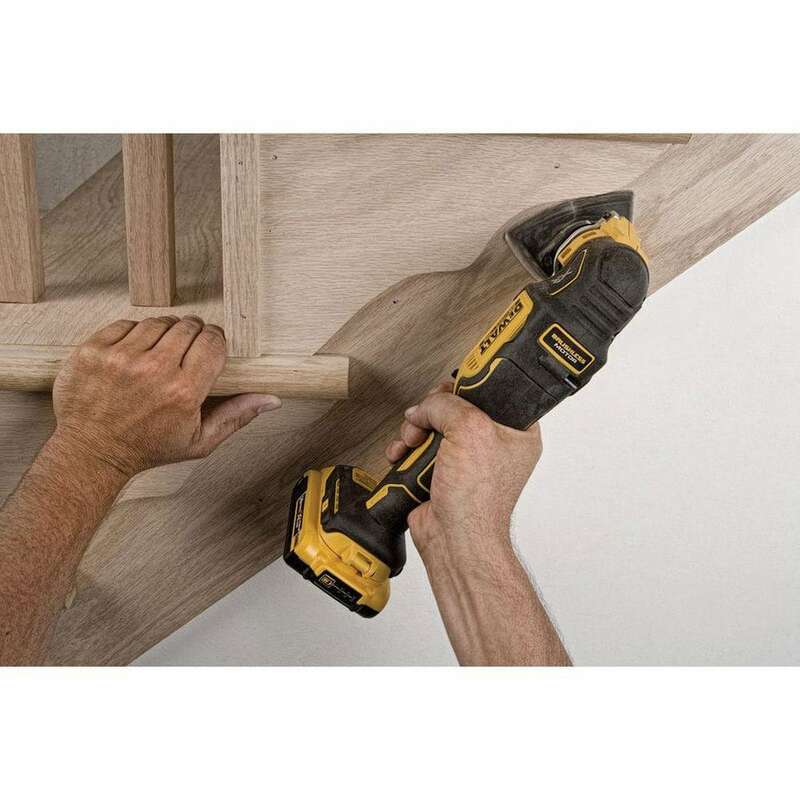 The dual-grip variable speed trigger provides great speed and application control. And the bright LED light helps to illuminate dark work spaces. 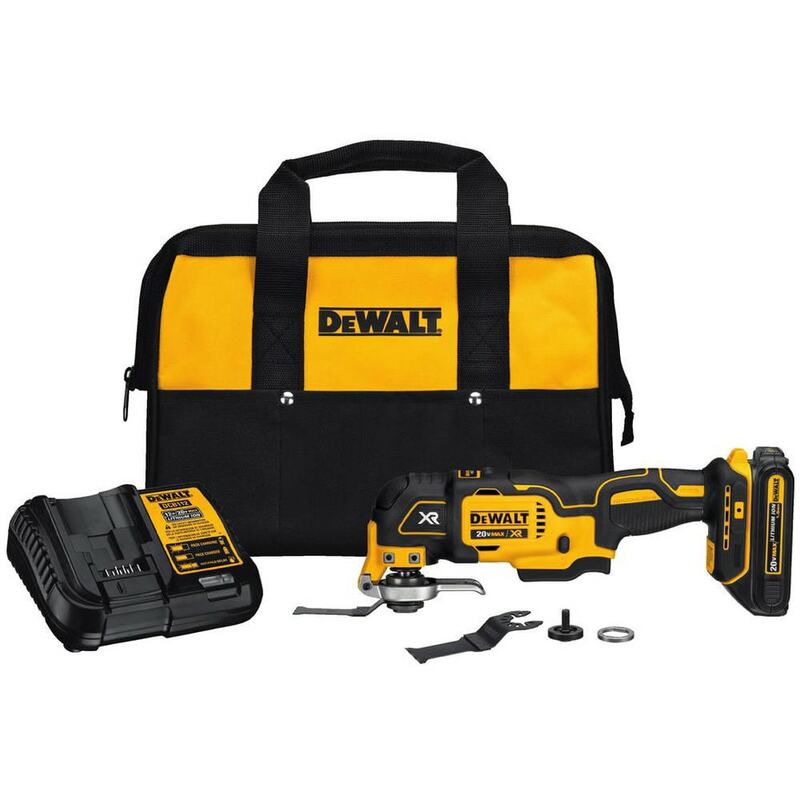 This multi-tool is part of Dewalt’s 20 Volt max system and runs off the same batteries. 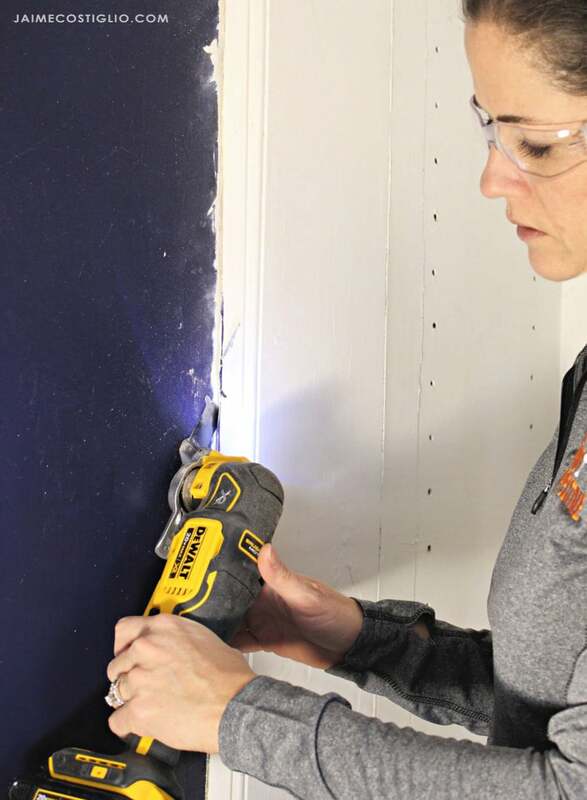 Make your next DIY project a breeze with an oscillating tool to tackle those tough areas. 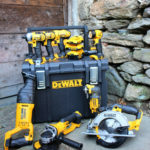 The Dewalt cordless oscillating multi-tool kit is available at The Home Depot here.